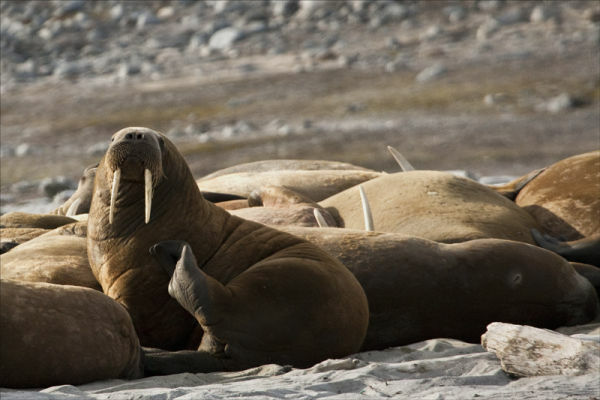 This is what Walrus do on the beach. Relax and sleep and be aware constantly !!! This individual has seen us ! !